Service was very quick, wood is Beautiful the dark oak, I will the state was a little bigger. 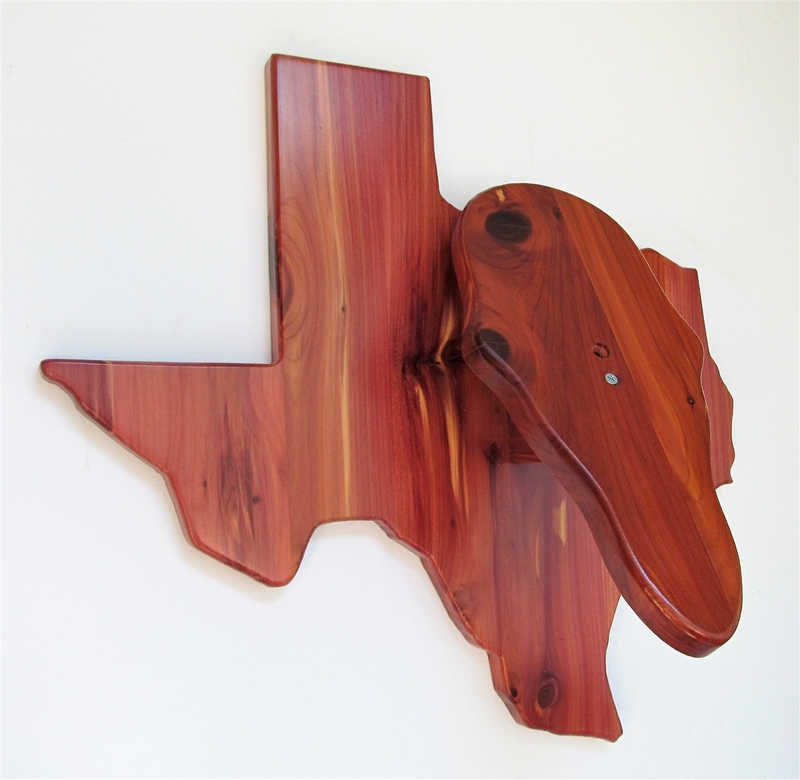 Very nice woodwork!! 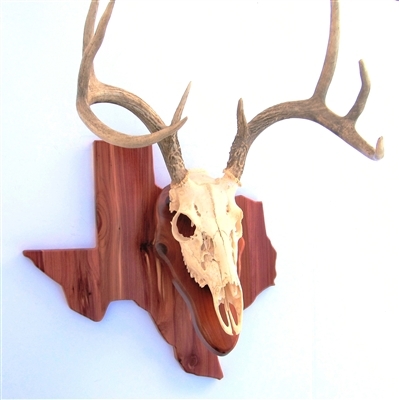 I ordered a Mississippi shaped, Skull Mount Wall Pedestal - Cedar. Came in quickly (about a week). The wood is beautiful. Instructions were pretty easy. Everything was a good as I had imagined. I have had several European mounts before. However this time I needed a plaque to mount it on. I conducted an online search and selected one from this company. The price was very fair and I received my product in a very timely manner. The quality was well worth what I paid and the finished product exceeded my expectations. I will definitely be using this company in the future and recommending it to my friends. I was very happy with the quality of this product. It arrived promptly and included all hardware and step by step instructions. I chose to add a 3-inch dowel to hang the skull so I could change it out easily, and everything is still very secure. I just received my wall pedestal today. To my pleasure, it arrived almost a full week earlier than originally projected. The quality of the wood and the craftsmanship exceeded my expectations.